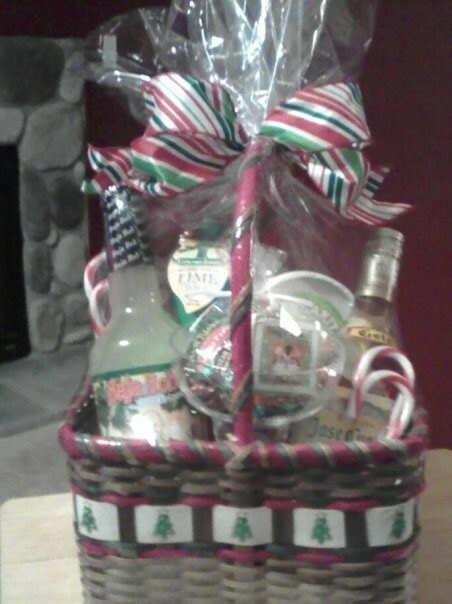 I made this for my diabetic bff for Christmas. Everything in it is sugar free, but you can easily convert it to the 'real stuff'. CONTENTS include: Baja Bob's Sugar free Margarita Mix, Jose Cuervo Gold tequila, Margarita glass, Margarita Salt, Lime Juice, magic towel washcloth, sugar free Russell Stover candy, Crystal Light hard candy & sugar free Candy Canes. Take your empty basket and start by putting your larger items (bottles) in first. 1. You want to be able to see what each item is, so make sure that you are able to see enough of each label. 2. The key is to balance out the basket, so that visually you have the same size items on each side. You can prop some up with tissue paper or paper shred if you need. Then, fill in with the other items, keeping the 'tips' in mind from step #1. So, you would put in the glass, margarita salt, lime...and then squeeze in the smaller items around it. I always like to fill open spaces, like glasses or mugs with something like candy or a magic towel washcloth...anything that will fit inside it. You want to make sure that you can't see the bottom of the basket and it is nicely filled in. 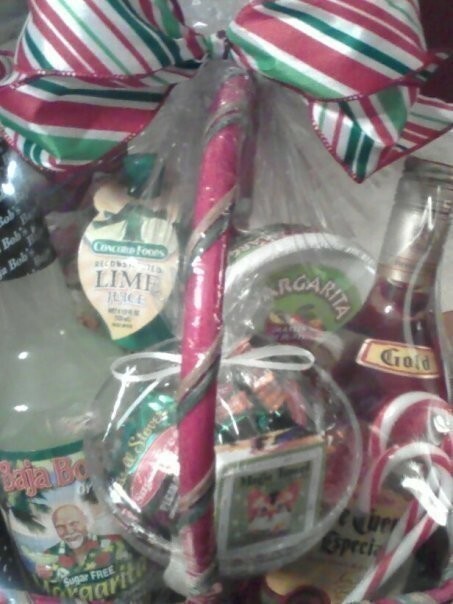 Tip: For smaller candies, I usually put them in a clear or decorative cello bag and tie with ribbon. Once all the items are securely in the basket (use tissue or shred to secure at the bottom a bit if you have to). Take your basket and put it in the shrink wrap basket bag...gather taughtly at the top (make sure that there are not alot of wrinkles near the front of the basket) and use clear scotch tape to tape around the top. If you have any of the shrink wrap bag sticking out, then tape it around to the bottom of the basket. Follow instructions of bag...hold top where taped, and blow dry until plastic has been tightened and wrinkles are mostly gone (Be careful not to burn a hole in bag...keep moving blow dryer). When blow drying shrink wrap bag, start near the back for a bit so that the items don't move too much in the front. Then, do the sides and front a little before going back over it and finishing it up...make sure to do the bottom too quickly once you are done. 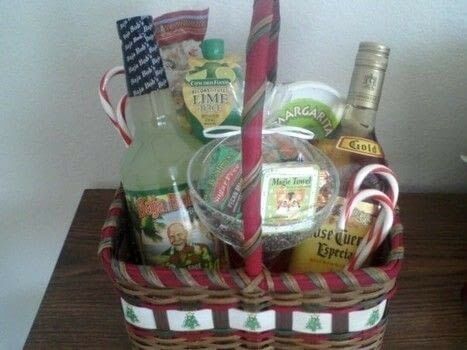 Tie a bow with some wire ribbon to match your basket/contents. Tie or stick on tag/card.